If you’re one of the many of us that left the garden furniture outside this winter, chances are you’ll find it in a pretty run down state; covered in dirt, mould and lichen. 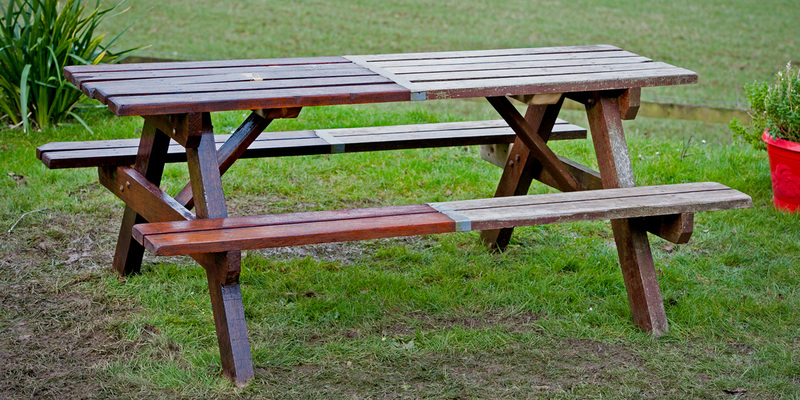 Instead of throwing it away or avoiding inviting people over this summer, follow our simple step-by-step guide to restore your chairs, tables and benches back to their former glory and allow you to barbecue with pride. 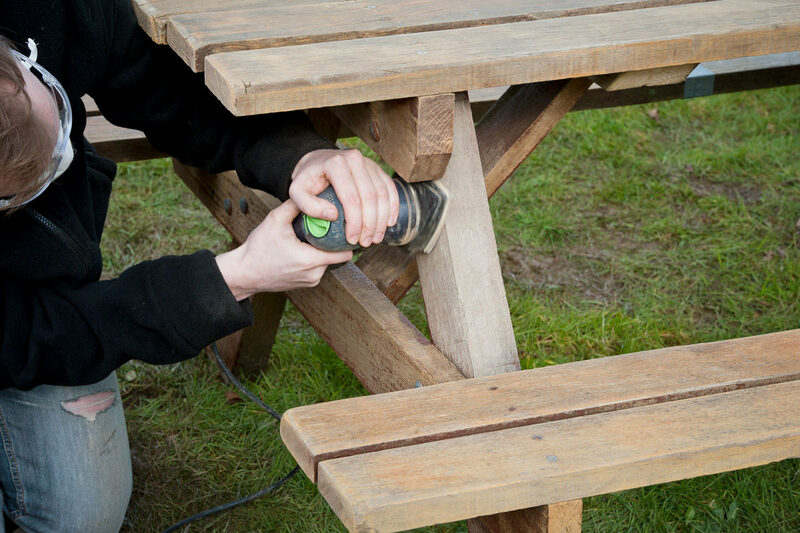 This step-by-step guide has been tailored to the project in hand; our staff picnic bench. Other projects may vary slightly dependent on your item and its needs, but the main points will be the same. Health and safety is vitally important in any process especially where sanding and finishing are involved, so make sure you’re always protected… and don’t forget to cover up with old clothes or overalls! Good luck and enjoy your furniture makeover! 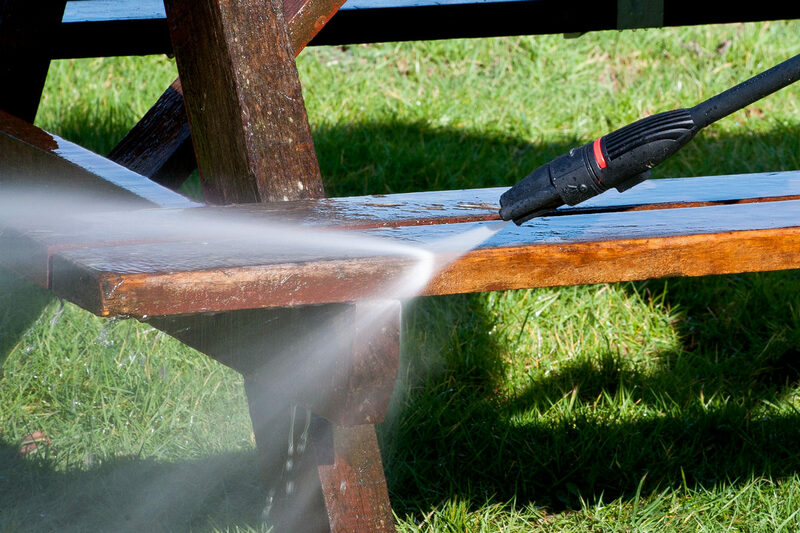 Use a pressure washer to clean off any dirt and stains on the surface of the wood. The washer will also loosen and remove much of the surface mould and lichen. Use a furniture cleaner for those tough remaining stains. We suggest Liberon Garden Furniture Cleaner, mixed in with two parts water and applied with a scrubbing brush. Once you have a spotless surface, rinse with clean water and wipe the timber dry using cotton rags. Then, wait for 24 hours to allow timber to dry. 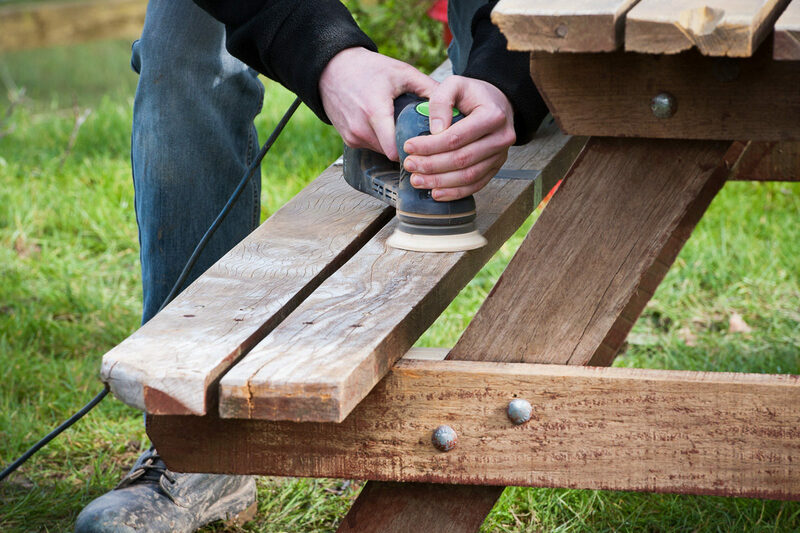 When you have wetted the timber through a process such as power washing or cleaning, this will have raised the grain so it’s always best to sand before applying a finish. 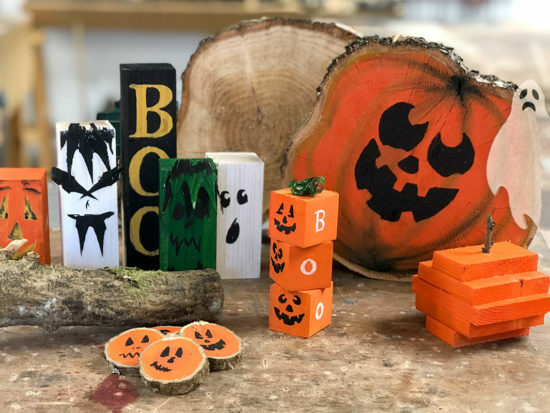 However, it is imperative to allow the wood to dry thoroughly before sanding or else the sanding sheets will clog and the finish will be flawed. If you’re into the rustic look, you may want to keep any cracks, holes or other defects in the furniture for a bit of character. However, if you do want repair these to make your furniture look new again, you can do this by using a wood filler. Wudfil, wood repair filler, can be easily sanded down after hardening and will also take on the stain that you use when finishing. Application is easy; using the spatula provided add a pea size of hardener (provided) to a golf ball size of paste. Mix thoroughly together and use immediately, leaving it to harden for around 10 minutes before sanding. Wudfil will take on acrylic stains very easily, however an oil finish such as the one we used, does not penetrate the filler as easily. Therefore we recommend using an acrylic stain on your Wudfil if you’re using an oil finish, to get the desired look. Using a random orbit sander, sand the wood to the desired finish. If your furniture is in a poor condition (like ours was), start with a coarse 60 or 80g paper, working through 120g and finishing at 150g. If your furniture is still fairly smooth, you can start at a higher grit (we suggest 120g). 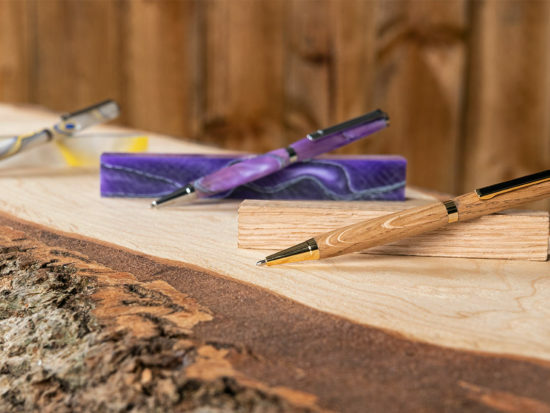 Don’t use a paper finer than 220g, if you go too high you run the risk of sealing the wood and restricting the penetration of the oil finish. Try the Festool Rotex RO sander with the triangular detail sanding head to get into the tight spaces that a normal random orbital sander may struggle with. Otherwise, you’ll need to do some hand sanding to make sure you get right into the corners. 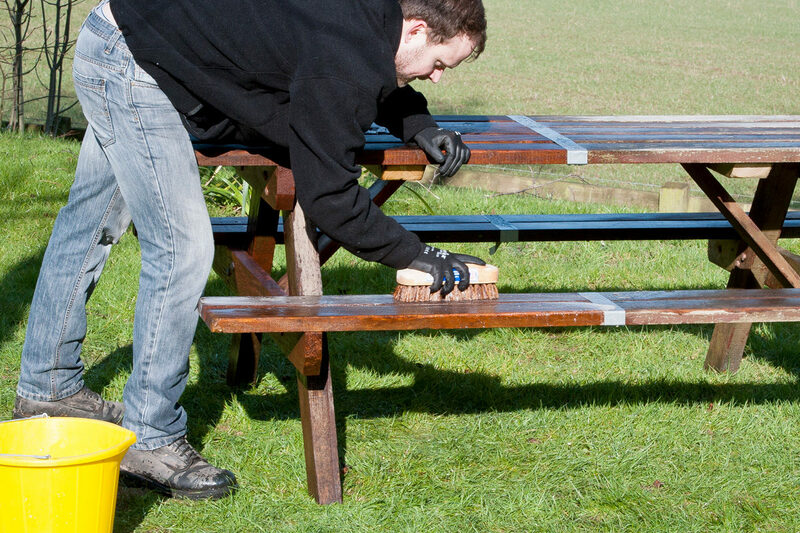 Apply your garden furniture oil, which in this case, we used Osmo UV Protection Oil Oak Finish. 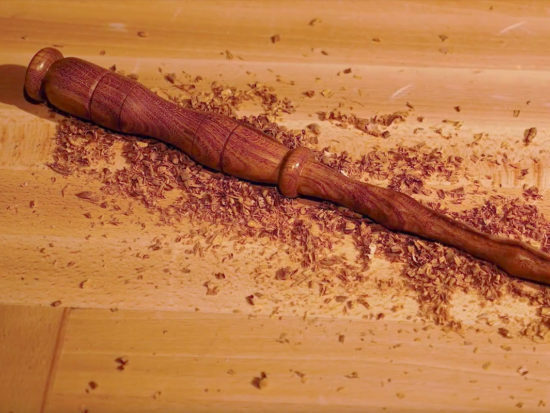 This should be done with a natural bristle brush, following the wood grain for maximum absorption. These brush types are preferred for oil based products due to them being able to hold more finish. If you’re using a different finish, be aware that water-based finishes can make natural bristles swell out of shape. For these synthetic brushes would be best. Allow to dry for at least 12 hours before applying a second coat. This process can continue until you get your desired finish. An oak finish was used in this instance as the wood was faded and in need of some colour. 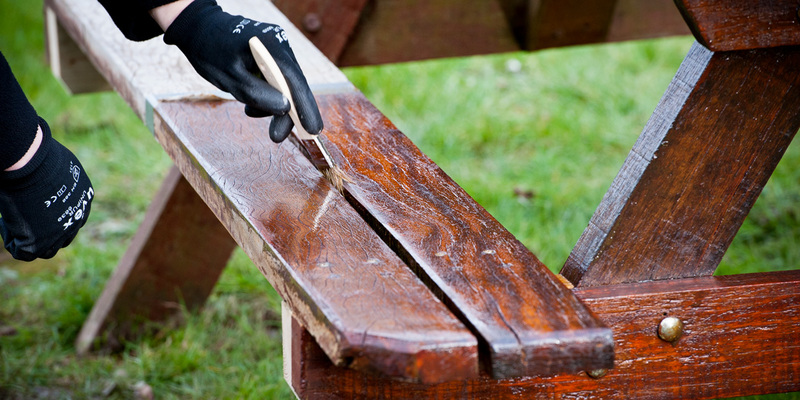 If the natural colour of your wood is still showing after cleaning, you may want to use a clear or natural finish. If you wish to apply a furniture stain, apply it prior to any finish or oil following the same instructions as above. Fancy a faster final finish? Try spraying your protection layer. 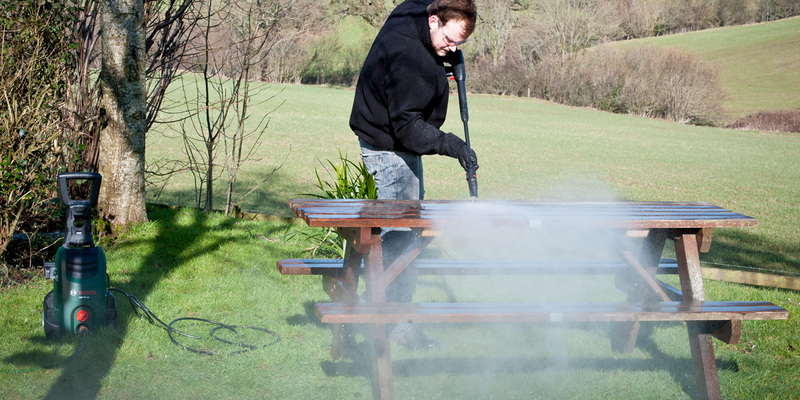 We recommend using a Fuji HVLP spray system and an appropriate finish recommended for spraying. 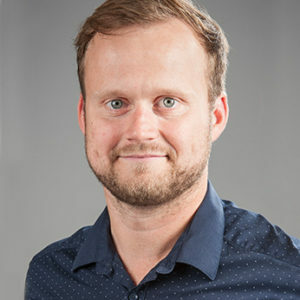 Although it’s a more expensive option, if you are looking to do a job rapidly or have a lot of furniture to do, it’ll be worth it’s weight in gold. 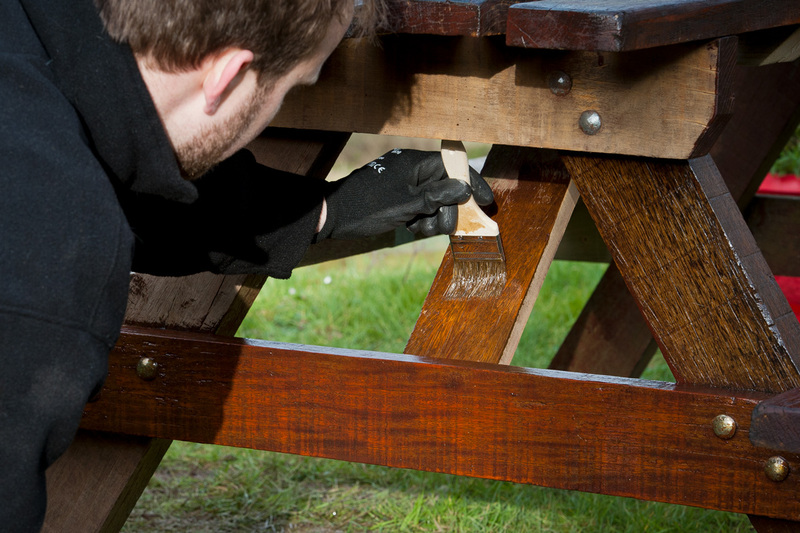 Take a step back and appreciate your handiwork before getting outside and enjoying the spring on your revitalised furniture. I’ve not found the OSMO UV to be a worthwhile investment in time or money on outside timber. 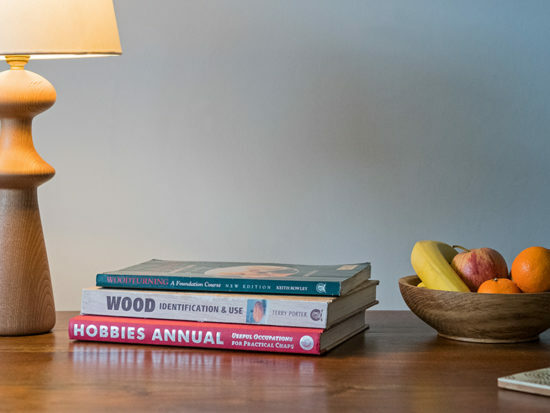 On Oak it lasts one season at best and is inconsistent in drying time especially on new wood where it only dries out effectively if applied with a brush then wiped off with a cloth to leave a very thin layer for the first coat. You can then apply a couple of brush coats but it is barely worh the effort unless you really enjoy rubbing down and repeating annually. By contrast, the standard OSMO hardwax is a great product for internal use leaving a superb finish on oak windows etc.